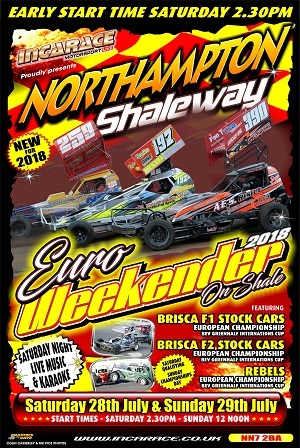 Spedeworth / Incarace would like to give all race fans an update with regards to the advanced tickets for the 2018 European Championship Weekend at Northampton International Shaleway. 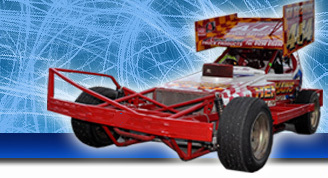 The final day for delivery options for advanced tickets will be Thursday 19th July so if you wish for your ticket(s) to be sent to you via the post please ensure you have completed your order before 4pm on Thursday. After this time advanced tickets will still be on sale but for ‘collection on arrival’ at Northampton International Shaleway. Advanced ticket sales will close fully at 3pm on Wednesday 25th July 2018 to allow time for the final orders to be processed. After this time tickets will only be available to purchased at the turnstiles so don’t forget to book you tickets in advance to avoid the queues and take the opportunity of the discount prices!